Once again I must apologize for the lack of blog posts. 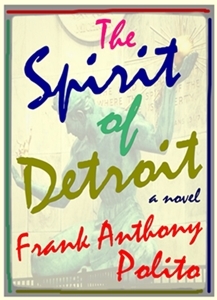 I've spent the past few weeks finishing up my latest novel, The Spirit of Detroit, and readying it for my agent to start sending around to publishers. The inclusion of Detroit history incorporated within the text. As happy as I am to receive honest feedback, I thanked my agent and kindly informed him that these 3 details are NON-negotiable. #1 -- the title. For those of us who grew up in the Detroit area, we understand the significance. The statue known as The Spirit of Detroit is Detroit. 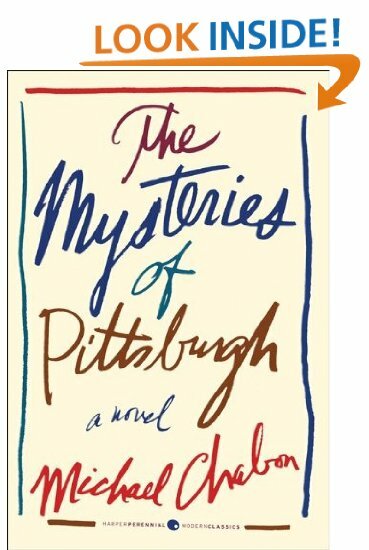 I also reminded my agent that the story in this novel was inspired by my favorite book, The Mysteries of Pittsburgh. Spirit = Mysteries. Detroit = Pittsburgh. 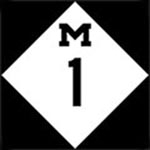 #2 -- Detroit history. As much as SOD is an homage to Chabon's MOP, it is also an homage to the Motor City. 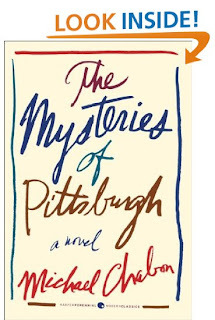 In writing -- and researching -- the book, I can't tell you how many things I learned about the city in which I lived for almost 25 years; things that I was never taught in school. 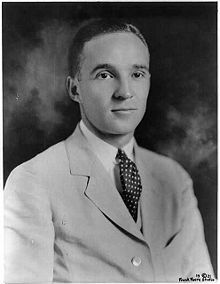 For example: I had no idea that Henry Ford's son Edsel, for whom I-96 is named, died in 1943 of stomach cancer at the age of 49. In reading this book, I want folks -- Detroiters and non -- to be made aware of such history that shaped and defined the city. #3 -- I won't go into too much detail here, as not to give away too much... But there is a character in SOD who corresponds to a character in MOP -- as do all the characters -- and my agent felt the plot surrounding this particular character made the story seem a bit too soap opera-y, to which I said: "And what's wrong with that?" So once again, another month has gone by -- and I haven't done any blogging! But I have a good excuse: I finally finished writing my new novel The Spirit of Detroit. I've sent the manuscript off to my agent. He's going to read it, then will start sending out to publishers. I honestly don't know if he'll find any takers -- gay-themed fiction hasn't ever been a big sell, and there are fewer and fewer publishers publishing anything these days -- unless it's written by a celebrity, so... We'll see. Speaking of self-publishing... Last week marked the one-year anniversary since I published my first Young Adult novel Lost in the '90s. If you haven't picked up a copy yet (shame on you!) you can order via Amazon.com HERE. Last week was also the 19th anniversary of the death of Nirvana front man, Kurt Cobain. 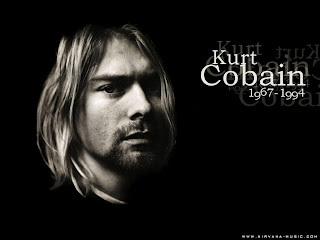 If you've read LIT90s you'll know that the story takes place on the eve of Cobain's suicide in April 1994. I decided to sign up for my own BuzzFeed profile, and I've created my own self-promotional posting, "Party Like It's 1994" where you can check out the year that gave us Cobain, Clinton, and Kerrigan. And please do check it out, if you have a moment! 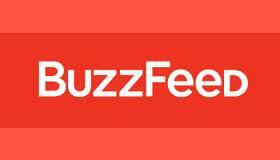 Not sure how the whole BuzzFeed thing works, but I'd love for them to "endorse" the post -- or whatever it is they do -- so that people (who don't personally know me) will actually see it. Subjunctive Junctive, What's Your Functive? An another interesting post for all writers -- or anyone, really, who ever writes anything. After having published 4 books (3 novels and a novella -- how I hate using the word "novella"! 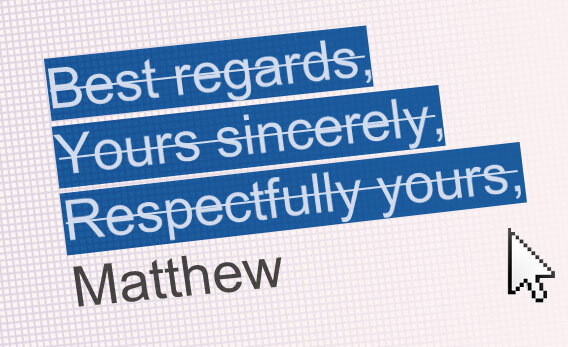 ), I feel like I've picked up a great deal from my wonderful Production Editor, Paula, in terms of grammatical "rules." But the one that still gets me is #6: the semicolon. 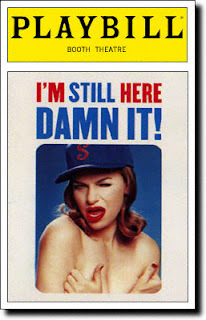 According to the poster, Ben Yagoda: "there are really only two proper uses for this piece of punctuation. One is to separate two complete clauses (a construction with a subject and verb that could stand on its own as a sentence). I knocked on the door; no one answered. 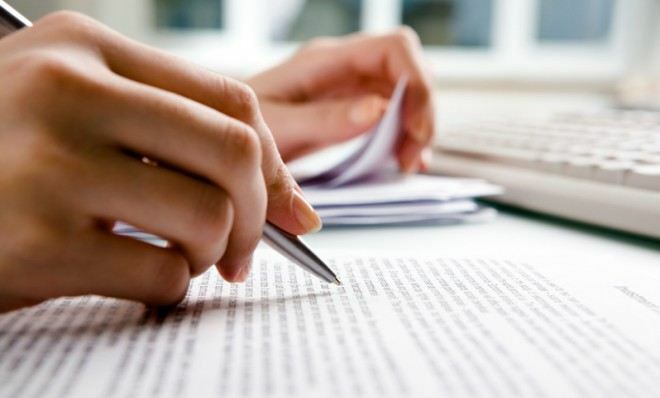 The second is to separate list items that themselves contain punctuation. Thus, The band played Boise, Idaho; Schenectady, New York; and Columbus, Ohio." Rarely do I ever use a semicolon in my writing (the same can NOT be said for the exclamation mark, as anyone who's read either Band Fags! or Drama Queers! will attest), though the current novel I'm working on is inspired by one of Michael Chabon's -- and he uses them all over the place. No, not ME. As I pointed out the other day, I'm still here -- for now. So I promised to do a little more blogging this week... As the "about" section of this blog states, I've been planning to include some thoughts on the "writing life" -- whatever that might mean. I'm coming to find that it's a cold and cruel one... But, as I am wont to do, I digress! Found a couple interesting items online today that I thought I'd share. From Slate.com: You Say "Best." I Say No. 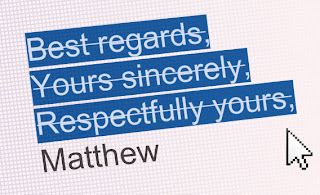 The basic jist of this somewhat lengthy post is: do we really need to sign our emails with closing phrases anymore (see above image)? I remember when I started using email in the late 1990s, I treated each email I'd compose as if I were writing a letter. For the most part, I still do to this day. I always begin with a greeting, be it "Hi" or "Hey" or "Hellooo!" depending to whom I'm writing. If it's "business" I'll be sure to say: "Dear ___" and use the person's LAST name. Though I am hesitant to do this when a) I know the person I'm writing to is younger than me, and b) if the person is male. Most of the time, I'll sign my emails "Take care," But, unlike my mother (who I love dearly), I do NOT space over to the center of the last line and write "Love," -- the way we were taught as children when writing a letter to someone. Hey Uncle Frankie.I finally got my own email! It's really cool! Now we can talk without having to be at the same house! P.S. dont forget to send back! Now, four or five years later, I get emails like this all the time from people. I just assume they're writing to me on a SmartPhone and can't be bothered to hit "enter." Any thoughts? Feel free to sound off in the comments section. I'd love to hear from you! I was doing so good there for a while... TWO blog posts in a single week and then -- BAM! Just realized it's been over a MONTH since I've posted anything here. For now, I'll just let you know that I'm still here... And I'm queer... And I think we're all pretty used to it. More to come soon... I promise! 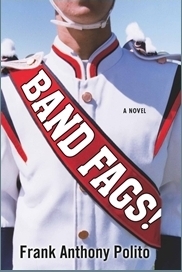 Award-winning author and playwright. Frank's writing has been featured in Instinct magazine and online at The Advocate.com and AfterElton.com. He is also a regular contributor to the popular New York City lifestyle blog "Kenneth in the 212". 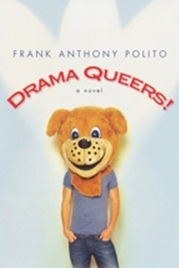 Frank holds an MFA in Dramatic Writing from Carnegie Mellon and a BFA in Theatre from Wayne State. He grew up in the Detroit suburb of Hazel Park.